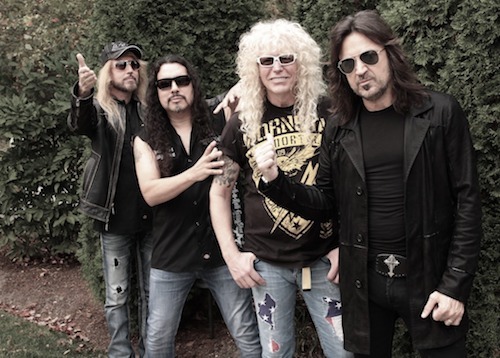 After months of speculation, multi-platinum rock band Stryper is excited to announce the addition of iconic bass player Perry Richardson to the band lineup. Richardson joins original members Michael Sweet (vocals and guitar), Robert Sweet (drums) and Oz Fox (guitar), all of whom are currently in pre-production on their upcoming album due in 2018 from Frontiers Music SRL. The bass player position became available following last year’s highly successful 30th Anniversary To Hell With The Devil Tour, which saw record crowds and featured Stryper’s largest sound and lighting production in nearly two decades. Perry becomes only the 3rd bass player to fill that slot in the band’s 34 year career. Richardson is best-known as a founding member of the multi-platinum band Firehouse, who exploded onto the scene in the early 1990s with hit singles like Don’t Treat Me Bad, Love of a Lifetime and When I Look Into Your Eyes. In 1992, the band took home an American Music Award for Favorite Heavy Metal/Hard Rock New Artist, beating out both Nirvana and Alice In Chains. Since departing Firehouse, Richardson has remained active touring with various artists including Trace Adkins and Craig Morgan. No way that hair is real!